Have you ever worked towards a goal, only to be frustrated by not reaching it? Well, now you can turn goal setting struggles into Goal Achievement Success! It turns out that there are specific steps you must follow to reach your goals. You’ll find them in every self development book and success program. But, they are usually hidden by stories and fluff that make goal setting seem complicated. The Truth Is — It’s Not! 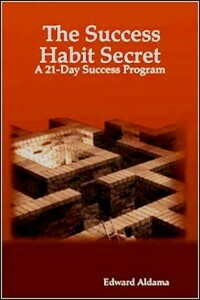 I have stripped away all of the fluff and stories to create The Success Habit Secret: A 21 Day Success Program. And by following these steps you will get crystal clear about your goal and how to reach it. You will walk step-by-step through building a simple and effective Action-Plan to reach your goals. You will find the motivation to keep you focused and on the Success-Track for reaching your goals. As a coach I have used these same steps to help countless clients reach their goals in areas like career, relationships, health, and finance. And I can help you!